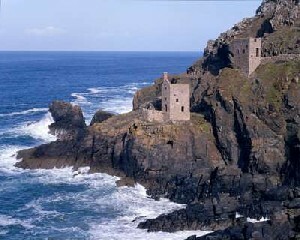 In 2006 the ghostly clifftop engine houses, dramatic coastal scenery and lavish country estates of Cornwall and West Devon were linked to become the largest World Heritage Site in mainland Britain and the story of the regions mining past and its stunning locations finally got the recognition and protection they demand. The South West Coast Path is the key to unlock this unique area and offers you a World Class Coast Walking Route directly through the heart of it all. Use the link below for full details about the areas of the World Heritage Site, its purpose, its attractions and its relevance to not only Cornwall but the wider world that those miners exported their skills to. 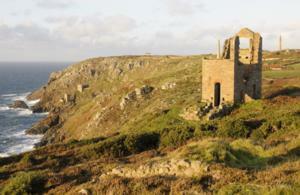 Our Cornish Mining Heritage Walk offers 3 or 4 days of superb walking through the mining sites and locations of the Lands End peninsular, a route that combines the best section of The South West Coast Path in Cornwall with the time to explore, understand and experience the Mining Past on route. CLICK HERE to read a full description of the walk, the sights en route as well as all the detail you need to walk it. Three other sections of the Cornish Coastal Path run through the remaining World Heritage areas and you can find out below what you will discover on each route.